Beauty blogging has exposed me to some wonderful products thanks to the numerous samples that cross my desk. So when I actually spend hard-earned money on a product not once, but twice, I can't resist sharing. 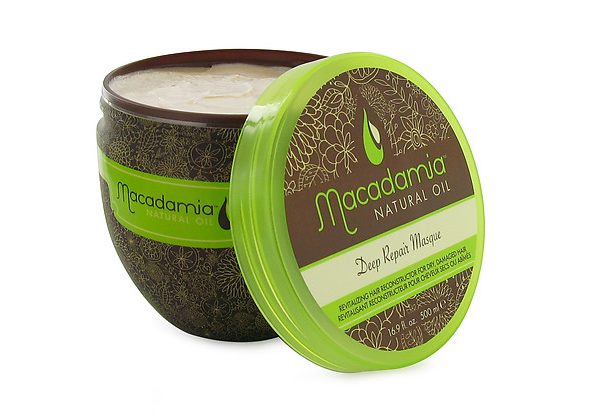 In this case, the product is Macadamia Natural Oil Deep Repair Masque ($6-36 at BeautyMark), a deep-conditioning hair masque that nourishes locks with a blend of macadamia, argan, tea tree, and chamomile oils as well as aloe and algae extract. The Deep Repair Masque's creamy, moisturizing texture is apparent from the first moment I comb it into freshly shampooed hair. I leave it in for the duration of my shower and rinse it out at the very end. By the time I finish blow-drying, the masque's benefits are fully evident: My hair is sleek and shiny beyond anything a normal conditioner could achieve, and unbelievably soft. Plus, the masque's natural ingredients leave the most delicious scent behind. So far I've been buying the $6 trial-sized packets, which hold enough product for 2-3 masques for shoulder-length styles or 1 masque for long hair. The packets are great for travel (think parched ends after a long day of sun, sand, and surf). But next time, I'm going to spring for a more substantial jar.